Some light painting, 30 second exposure and a torch. LINK. Project showing exposure times: LINK. After few seconds it changes panoramas showing panos with 10, 30 and 60 second exposures. Real Impressive and good image quality. 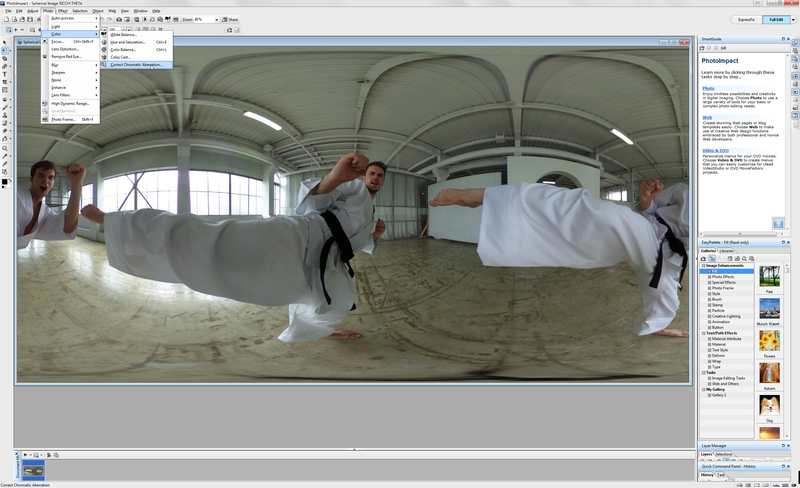 Both projects use Pano2VR V5. The output image from the Theta is 5376 x 2688 JPG. Mine just arrived Impressed with the Ricoh Theta S.
Take a snap, create a panorama and upload to my web site in a matter of seconds. Photoshop's Adobe Camera Raw converter version 9.1.1 is simple to use to correct the white balance and removing the CA from not only RAW image but also .JPG's. Today, I will post a "How to" remove the Chromatic Aberration in your panorama.JPG using Photoshop's Adobe Camera Raw Converter. First need to write some instructions and make some screen captures to illustrate the work flow. Last edited by Svendus on Thu Nov 05, 2015 5:06 am, edited 2 times in total. Last edited by Svendus on Sun Sep 10, 2017 12:35 pm, edited 1 time in total. Good... I found the point hotspot link to remove the Chromatic Aberration. Proper alignment of the RGB RED channel should sharpen the panorama image. Thanks for the other software updates. Martin did you buy it in UK ? Heres the link to the Ricoh Shop i got mine from, sadly they have sold out. 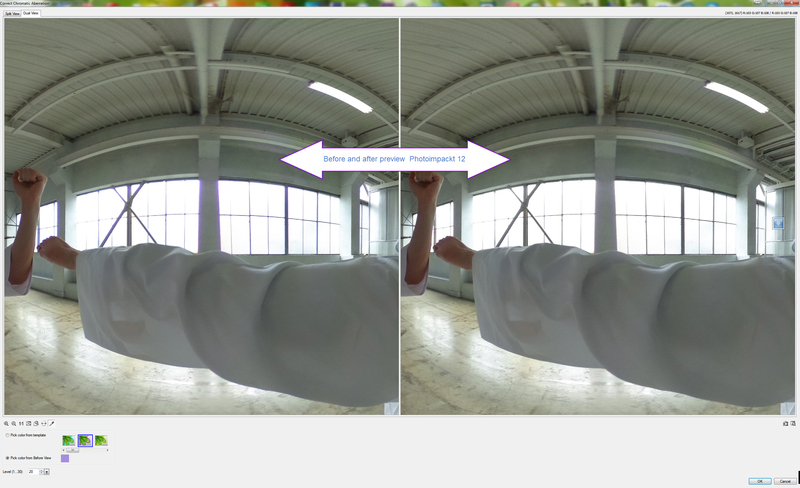 I've got an old copy of Photoimpact 12 somewhere - how do you remove CA from Theta 360's using it? (I have an m15). 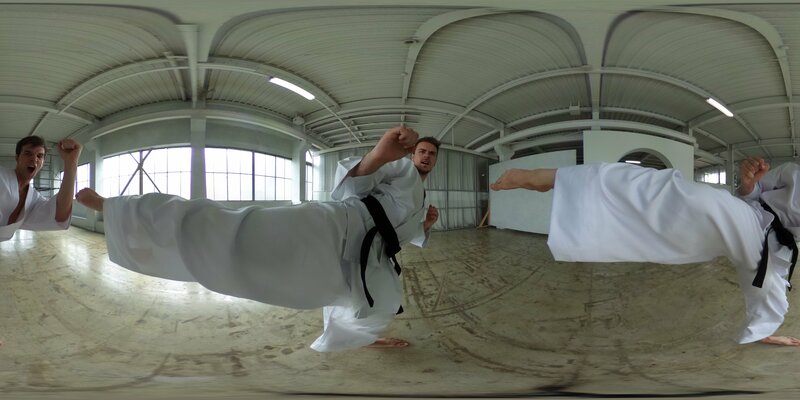 As of 1 December 2015 we too now have a Ricoh Theta S.
Theta S take respectable full size .jpgs. OPEN Adobe Bridge. Browse, find and select your Theta S .jpg. If you have not used Camera Raw converter before you can correct for RAW and .JPEGs Chromatic Aberration and White balance along with a host of other neat correction tricks.